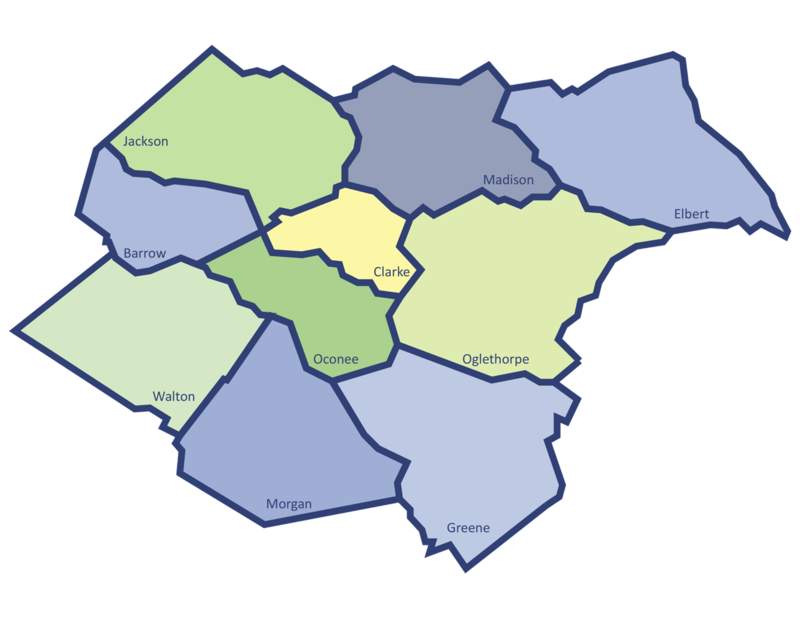 Advantage Behavioral Health Systems serves the 10-county region of Northeast Georgia. We operate six behavioral health outpatient clinics and seven clinical sites for individuals with intellectual developmental disabilities. Please click on the map below to learn more about the counties and what we do in each one.